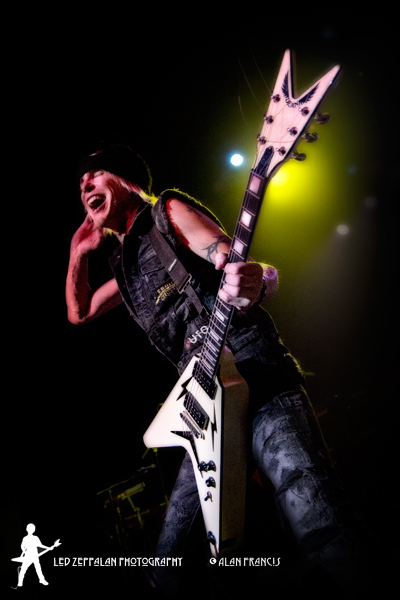 One can still feel the aftershocks from 2 nights of witnessing earthshaking performances by legendary and virtuoso guitarist Michael Schenker and his band, now touring under the name Michael Schenker Fest, in support of their new album titled Resurrection. The first night was at the Concord Music Hall in Chicago, the city where several tracks from one of the greatest live albums of all time, UFO’s ‘Strangers In The Night’ were recorded, and the second night was at the historic and beautiful Pabst Theater in Milwaukee, WI. 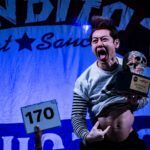 With the Chicago show sold out and the Milwaukee show filled to near capacity, both venues were packed. 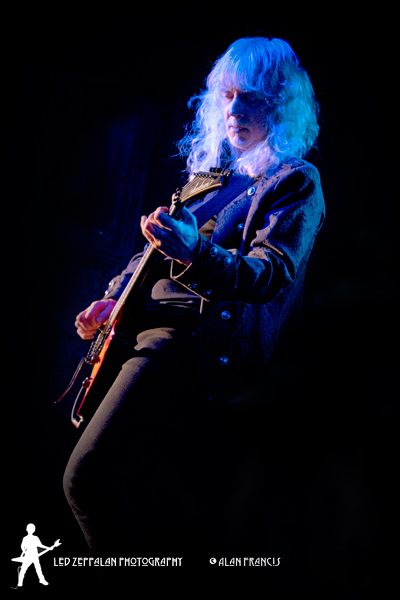 The hall lights dimmed and with AC/DC’s “Highway To Hell” blasting through the speakers, out of shadows appeared Schenker, making his appearance on stage. From the show opening riffs of the epic instrumental “Into The Arena,” off the debut Michael Schenker Group album, to the show closer, UFO’s “Too Hot To Handle,” the band, featuring the legendary Michael Schenker on lead guitar, veteran frontmen Gary Barden, Graham Bonnett, Robin Mc Auley, and Doogie White, and seasoned musicians Steve Mann (guitars and keyboards), Chris Glen (bass), and Ted McKenna (drums), delivered performances of pure melodic mayhem. A focused and often smiling Schenker ripped through blistering guitar solos in every song, displaying his mastery of the instrument, while the rock solid rhythm section of Steve Mann, Chris Glen, and Ted McKenna held the foundation steady. Vocalists Gary Barden, Graham Bonnett, Robin Mc Auley, and Doogie White each took the stage to perform 5 songs each from the extensive catalog they had all recorded over the years through various phases with the band. They (the ‘Shenkerettes,’ as they jokingly referred to themselves) also joined each other on stage at various points in the show, to provide backing vocals for each other’s sets. The band seemed to share camaraderie seldom witnessed at concerts nowadays, having fun on stage, while yet delivering a stellar performance. Following each vocalist’s set Schenker played instrumentals recorded during various stages of his career. These included the track “Coast To Coast,” which he had given as a gift to his brother Rudolf for the mega-selling Scorpion’s album Lovedrive, the colorful “Captain Nemo” from the album Built To Destroy, and the beautiful soul piercing “Searching For Freedom” which appeared as a bonus track on the album Spirit On A Mission. On both nights, the entire band was in top form and the audiences were energized, singing along and pumping their fists to fan favorites, “Armed & Ready,” “Desert Song,” “Anytime,” “Vigilante Man,” “Rock Bottom,” “Lights Out,” “Doctor Doctor,” and several others. When all was said and done each night, the band had torn through an unbelievable set list of 32 songs, giving the fans more than what they had bargained for. 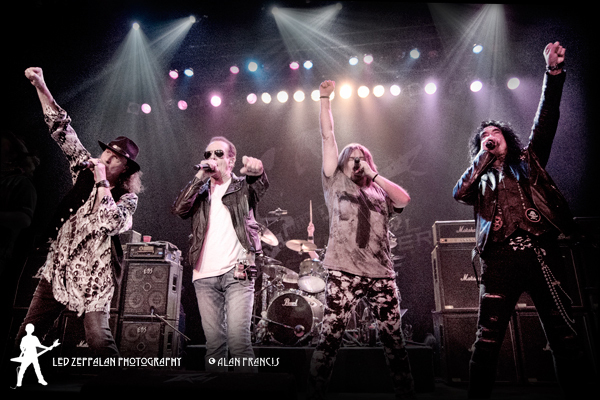 It had been a long drought of 3 years since Schenker and his band toured these shores, but hopefully, they’ll be back sooner the next time around to give fans a dose of some much needed Schenker adrenalin.